TimberTech’s decking products were recently used in the commercial redesign of one of the world’s largest stock exchange platforms: NASDAQ OMX in The Woolgate Exchange, London. 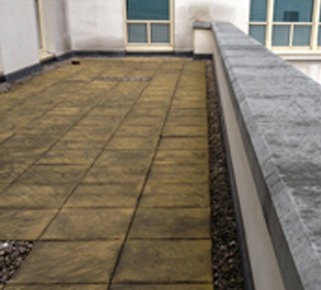 We worked with Oktra, an award-winning office fitting/refurbishment company, to create a stylish and stunning 63m2 roof terrace to complement their sleek new office refurbishment. 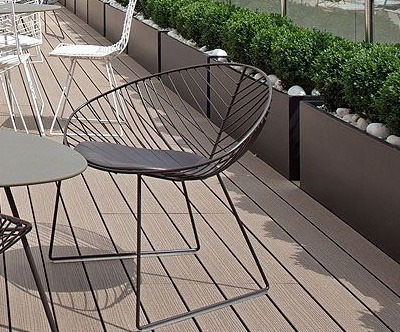 When David Osbourne, Oktra’s Senior Designer, contacted us in search of a stylish, low-maintenance outdoor flooring product, we knew that our deck boards would be the perfect fit. We supplied samples of our Reliaboard Cedar and VertiGrain 2 decking – two rich brown options from our non-capped composite ranges. Our VertiGrain range combines the fantastically durable qualities found in all of our products with the stunning aesthetic properties of real wood for a flawless finish. 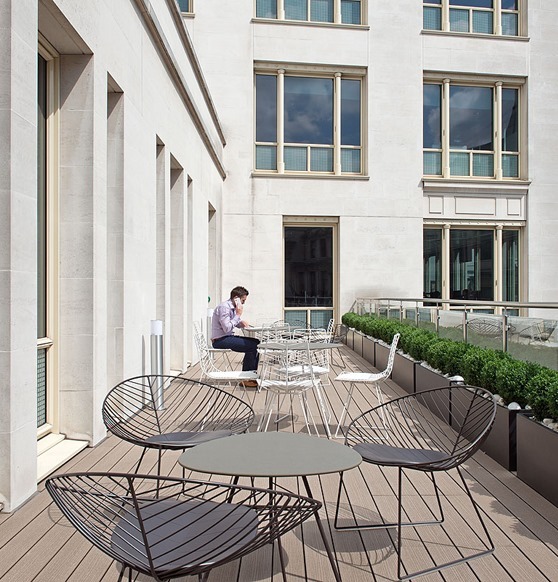 NASDAQ felt that our VertiGrain 2 decking matched their new design perfectly, and so opted to use this for their roof terrace in London, along with 17 linear metres of glass balustrading, which would create a stunning perimeter and truly finish the job in style. 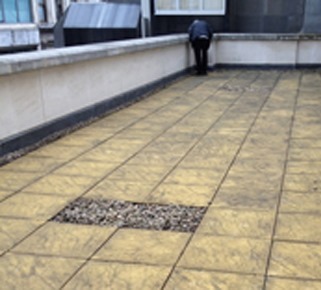 Our commercial manager and in-house architect visited London to undertake a thorough site survey of the NASDAQ site before supplying the appropriate TimberTech products. 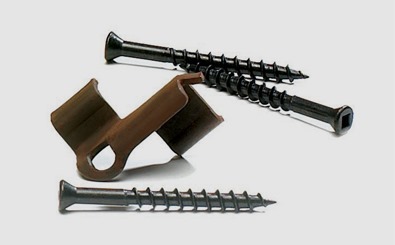 Our team devised an architectural plan for the new decked area, as well as offering expert advice to Oktra – including the suggestion to use EasyFix rubber shoes for ease of installation on a flat roof, and our fantastic CONCEALoc® fixings for a smooth, seamless look. We then provided the client with 3D design drawings so that they could visualise the way in which our products would transform their outdoor space, as well as a quotation for the installation of the entire project. What was once a tired and dirty stone-paved balcony with no outdoor seating and a low wall is now a stunning and sophisticated outdoor space which truly represents NASDAQ’s success and prestige. 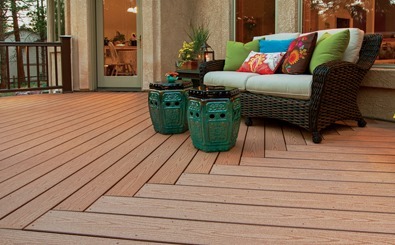 Whether you’re based in London or further afield, the TimberTech UK team would be more than happy to assist you with your commercial decking project. 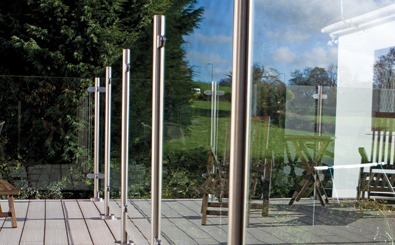 Call 029 2080 3756 now to discuss your requirements.